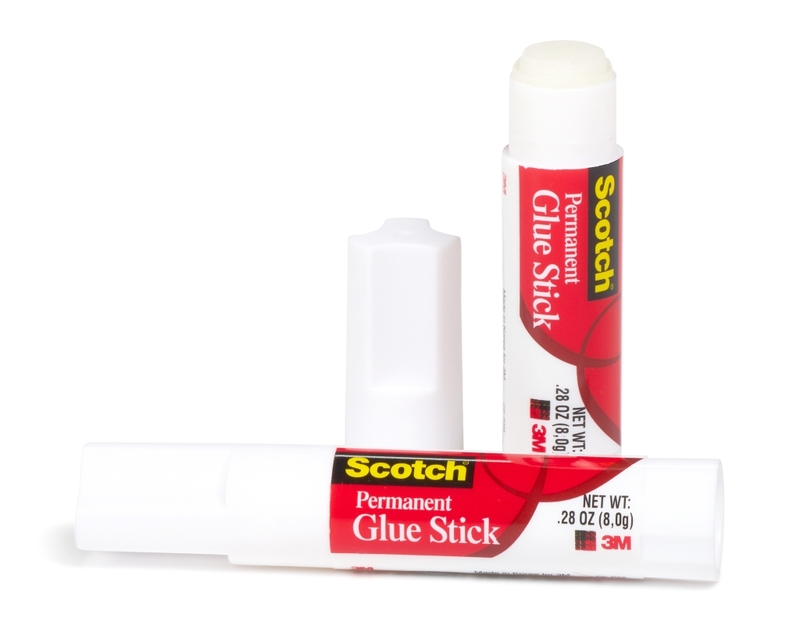 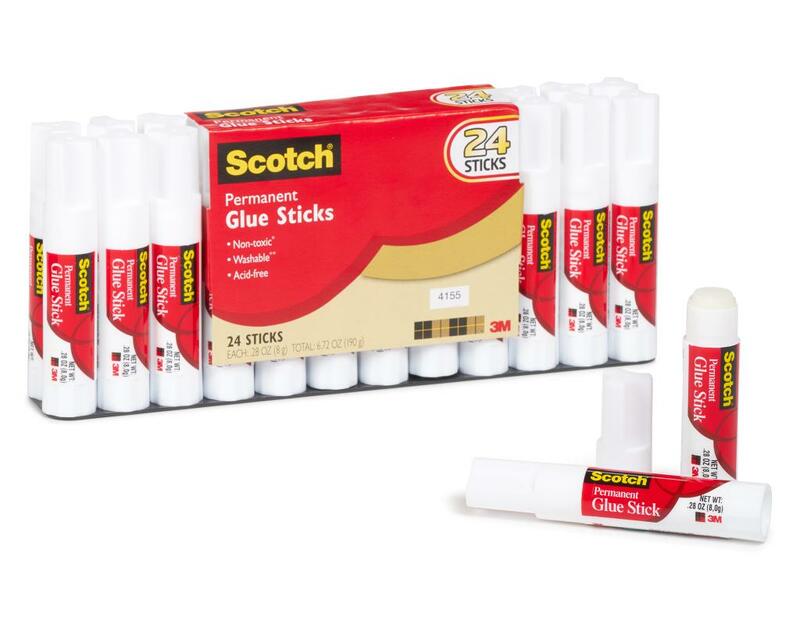 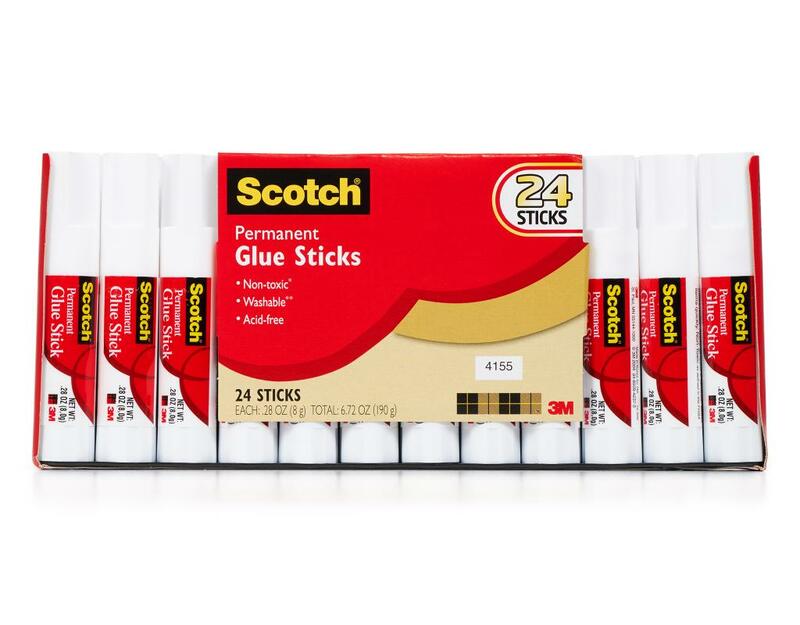 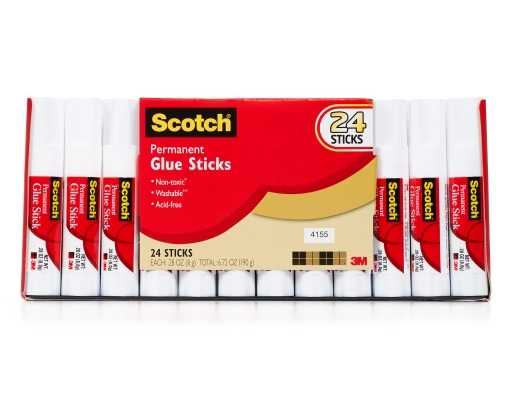 Scotch Glue Sticks are strong, fast-bonding, and no mess. Great for paper, fabrics, and other lightweight items. Cleans off hands and household surfaces with soap and water. 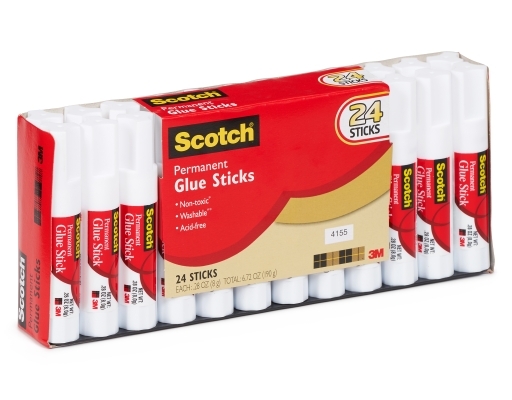 Washes cleanly out of most fabrics.